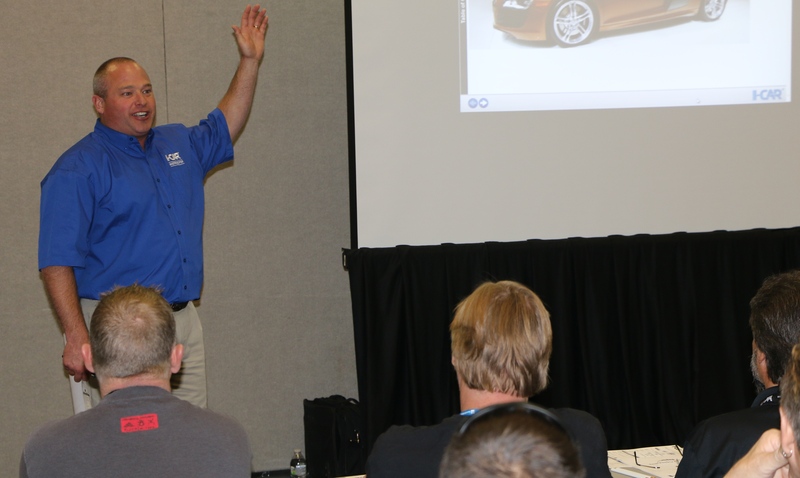 I-CAR will for 2018 shift what had been 22 on-demand live Professional Development Program classes to a formal schedule, a change the educational organization said had been demanded by the industry. The decision announced Wednesday brings structure to a process which had been somewhat disorganized and inefficient, with procrastinators able to request a class and have I-CAR bringing it to them, even late in the year, according to I-CAR delivery director Bill Stage. “We did actually take care of that person,” he said. Collision repairers had instead urged I-CAR to “‘put your schedules out there,'” declaring, “‘We’ll drive further,'” Stage said. By switching to specific dates and locations, I-CAR hopes for greater efficiency and better class sizes. Some of the 2018 live class dates and times were being posted on I-CAR’s website this week, according to Stage. 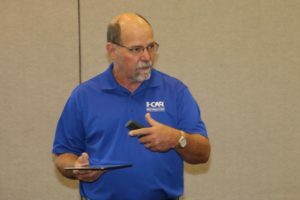 Though the entire year’s calendar won’t be available at first, the organization would like to start a complete 12-month rolling schedule by July 1. Techs and shops will need to plan ahead and make sure their Platinum and Gold Class requirements are met before it becomes too late to take a course necessary to keep their status. Once I-CAR moved from what Stage joked was the “random acts of training” format — where any I-CAR class could be taken to meet continuing education demands — to the PDP format requiring students take specific classes relevant to their specialization, the average attendance fell to single digits, he said. He estimated the new schedule would swell the average class to about 10-12 students, which tends to deliver a better experience. “It’s more interactive,” Stage said. Stage said he didn’t expect the change to unduly burden rural shops by making them travel far to take a class which in 2017 would have been brought to their turf. Stage said he couldn’t provide a precise distance, but I-CAR probably wouldn’t make anyone drive more than an hour and a half. “We’re not going to stop training in those rural areas,” he said. Stage said the new setup shouldn’t burden urban shops either, in terms of a higher shop population creating so high a demand that technicians are turned away. A large metro area might have multiple versions of the same class offered each quarter, and so someone who failed to get into a class in January could just take a February one in another part of the city, according to Stage. “You’ll actually have more options,” he said. The organization in 2016 had 400 mostly part-time instructors, 175 of which taught welding. I-CAR seeks to hold the classes in what it calls “neutral sites,” such as vo-tech schools. Campuses which agree to allow their facility to be used as a training site outside of school hours can use I-CAR’s curriculum without having to pay either the $1,100 annual fee or the $150 in start and end fees for each of their students. The organization started in March with zero schools as training sites and used to have to talk facilities into serving as such a venue, Stage said. Now, it has scores of campuses, and “schools are calling us,” he said. I-CAR also uses sites like suppliers — Stage singled out LKQ and Insurance Auto Auctions as having been “very cooperative” — and is willing to rent a conference room if it can’t find anywhere else, Stage said. 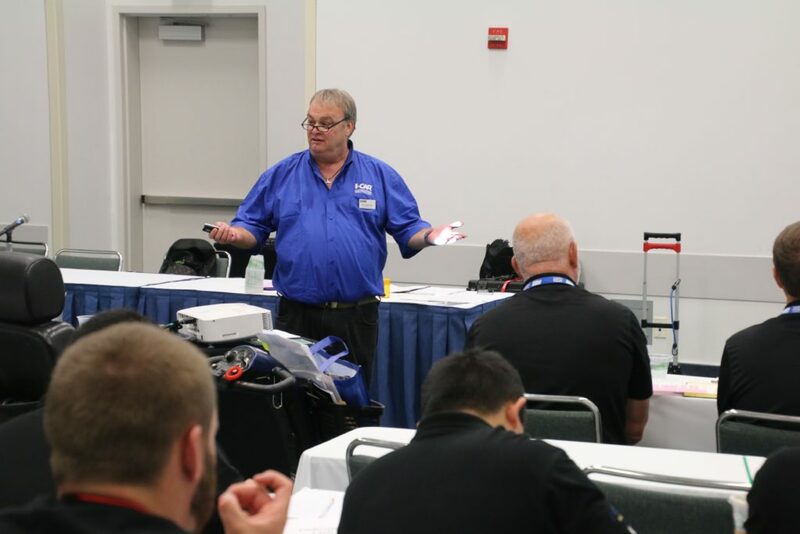 The shift from on-demand classes to “neutral sites” for the live classes won’t apply to I-CAR’s welding certification, according to Stage; all three classes will still be in-shop and continue to evaluate if the shop is even equipped to weld properly. However, some of I-CAR’s expanding separate “hands-on” series would be done outside of the shops if appropriate. For example, something like adhesive bonding could receive a classroom setting, but a procedure like MIG brazing would still be taught in a shop, according to Stage. I-CAR taught more than 230,000 hours of live courses in 2016 and conducted more than 6,000 welding events. It also posted more than 300,000 hours of online courses and more than 24,000 hours of virtual classes.